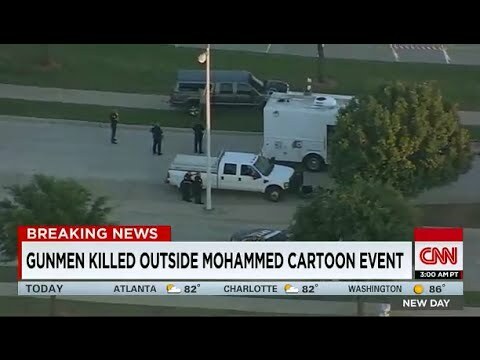 A recent article from CNN on the shootings in Garland, Texas outside an event sponsored by the American Freedom Defense Initiative on May 3, 2015, provides a useful example of some of the pitfalls that often occur when scholars of religion offer up their expertise in a popular media forum. The article in question, entitled, “Why images of Mohammad offend Muslims,” attempts to provide a “Muslim” perspective to non-Muslims by tracing a brief genealogy on the Islamic prohibition against the depiction of his image. As this story unfolds, one further line of inquiry that is in much need of critical examination circles around depictions of the Prophet Muhammad, as discussed in the aforementioned text Is Critique Secular?, featuring contributions from Wendy Brown, Talal Asad, Saba Mahmood, and Judith Butler in response to the 2005 publication of the Danish Cartoons. Violence over depictions of the Prophet Mohammed may mystify many non-Muslims, but it speaks to a central tenet of Islam: the worship of God alone. The prohibition began as an attempt to ward off idol worship, which was widespread in Islam’s Arabian birthplace. But in recent years, that prohibition has taken on a deadly edge. With the exception of a remark about how such images are understood among European Muslims as “bullying” and not as “criticism,” and brief mention of some historical, cultural, and sectarian variations on how Mohammad has been depicted, this narrative is entirely ahistorical and without context, leaving readers to believe that the reasons behind the offence allegedly felt by most (perhaps all?) Muslims is due to a strict adherence to the dictates of scripture and those who have authority over its interpretation. It is ironic that in a piece intended to defend Muslims, Christianity is upheld as more liberal than Islam, since the latter is bound by the authority of revered texts and the judgement of legal scholars. While some nuance is suggested in relation to competing interpretations, they are presented through the well-worn trope of good vs. bad Muslims (see Mamdani 2005), where those who are deemed “good” don’t allow themselves to give in to violence on account of their offence, but rather engage, we might assume, with more critical (read: Western liberal) modes of interpretation. Interestingly, Arab Muslims, who are by far the most symbolically represented Muslims in the Euro-Western imagination (see, for example, Alsultany 2012; Shaheen 2014), are framed as less liberal than their non-Arab co-religionists, thus implying (however unintentionally) a racialized distinction. In an attempt to offer a “Muslim” perspective then, the take away here is that all Muslims are offended by depictions of Mohammad because they adhere to traditional authority. While history shows some variations in terms of how he has been depicted by Muslims, including contemporary debates among the global umma, in our present age of globalization and social media, such images are bound to reach those extremist minorities who will, regrettably, react with violence. In the end, one is left with the impression that little can be done but condemn the bad Muslims and support the good ones. While I don’t want to suggest that the long and complex history of Euro-Western representations of Mohammad is without any effect on the dispositions of those who identify as Muslim (a point forcefully made by Asad and Mahmood in the above mentioned text, Is Critique Secular? ), by presenting the idea of prohibitions against depicting Mohammad as an ahistorical reality–as more or less true in all times and places, while accounting for some minor variations–both CNN and the scholars they interview participate in form of apologetics that, ironically, lays blame for violence committed by Muslims on account of their beliefs. It should go without saying that missing from this picture is any analysis of how and why particular Muslims might draw upon and interpellate the idea of offence in contexts of, for example: post-colonial or immigrant societies (as in this case) vs. Muslim majority countries; xenophobia and racism amongst marginalized communities; the proliferation of images of death and destruction surrounding the “War on Terror”; the prevailing discourse on Islam vs. the West; or the strategic use of social media by groups like ISIS to shape sentiments of affinity and estrangement, and draw upon certain theologies as a source of their own legitimacy. In the absence of such analysis, one is left to conclude that scripture made them do it, while the reasons why such ideas are made palatable are all but washed away. This entry was posted in Matt Sheedy, Politics and Religion, Religion and Society, Religion and Theory, Religion in the News, Theory and Method and tagged American Freedom Defense Initiative, Charlie Hebdo, CNN, Danish Cartoons, Evelyn Alsultany, Garland, hadith, ISIS, Jack Shaheen, Judith Butler, Mahmood Mamdani, Mohammad, Saba Mahmood, Shiite, Sunni, Talal Asad, Texas, war on terror, Wendy Brown. Bookmark the permalink. So after a long convoluted critique of all the explanations that have been offered, the author finally gets to his conclusion in the last paragraph, where without any proof whatsoever, he basically makes the claim that anti-western sentiment is a major factor causing Muslims to behave this way. Interesting how he conveniently ignores the many cases where Muslims react violently to any offense by non-westerners. The NY Times, a few days ago reported the story of Farkhunda, a woman in Kabul who was an Afghan student of Islam killed viciously by a mob for burning the Koran (later t was found out she was innocent BTW, but oh well, right?). This had NOTHING to do with Western intervention: it had to do with a religion that is producing psychopaths. People who kill without empathy, have no remorse afterwards, and then post trophies online of the killing. Please Mr. Sheedy, you need to do a better job and stop defending that is indefensible.